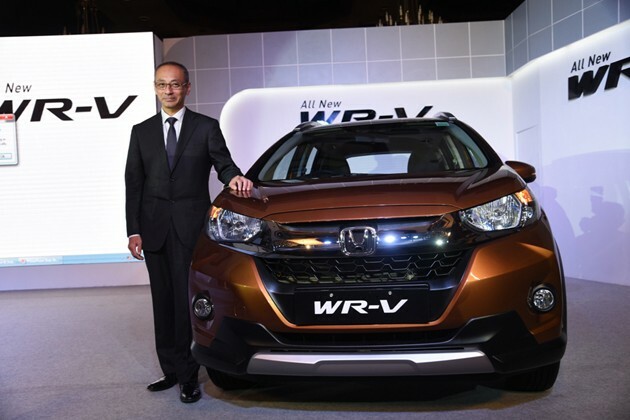 Yoichiro Ueno, President and CEO, Honda Cars India Ltd. launching Honda WR-V’ in Kolkata on Friday. The WR-V adopts the best of Honda's power trains to achieve a perfect balance of performance and fuel economy. • Mac-Pherson strut front suspension. • Multi-angle rear view camera with guidelines - Only in VX grade.